Welcome back to another review! I hope we all had a great Mother’s Day, even though I’m not a mom, I did enjoy shopping with my mom and picking up some cute stuff for the new moms in my life! Today’s review is all about a holy grail eyeshadow palette. 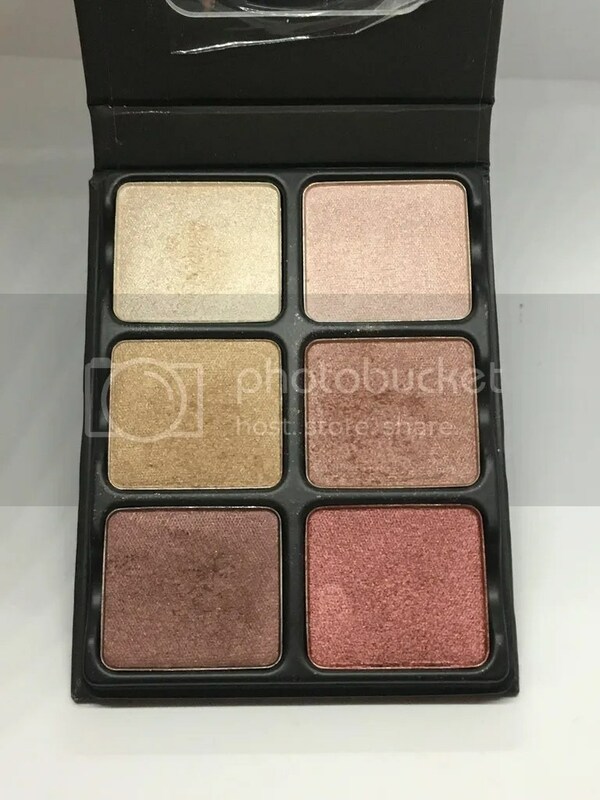 I know, I know, stop the presses because it’s an actual palette! 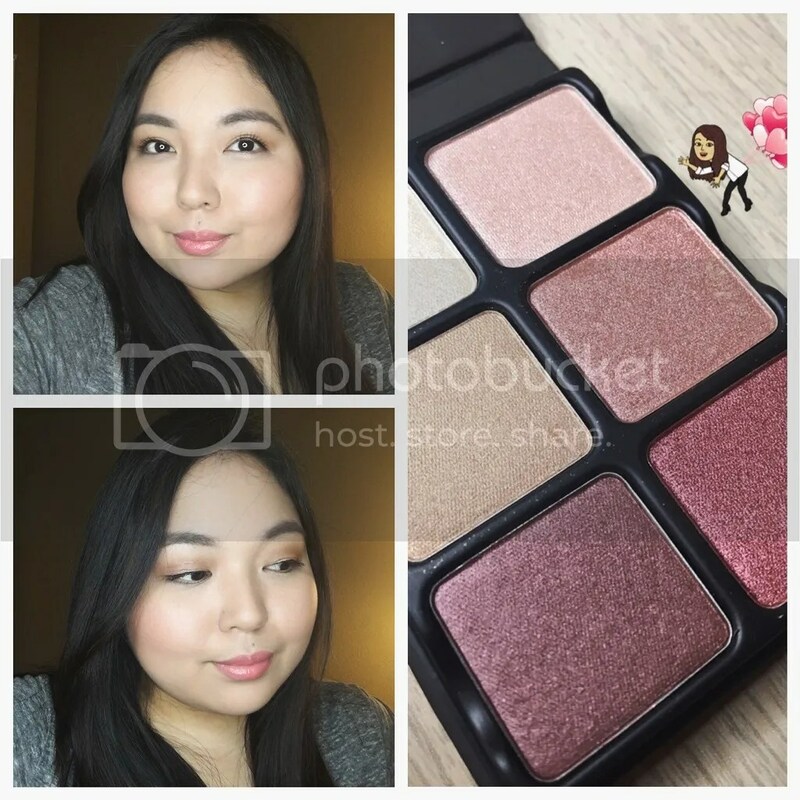 It’s Viseart’s Theory Palette in Nuance. 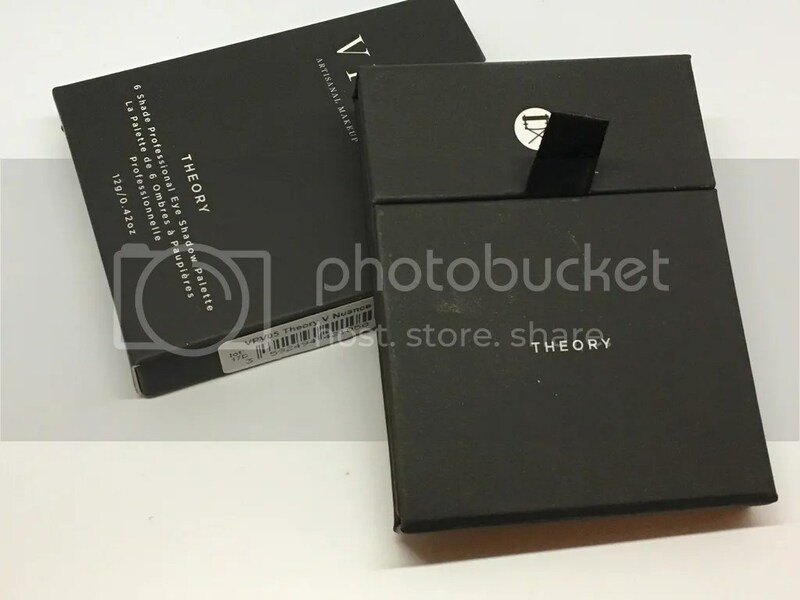 The theory palette from Viseart is the smaller, more affordable, palettes that Viseart has in their line and let me just say, it’s worth the money! When I initially heard about Viseart, I heard so many amazing things about the formula, but I had seen very little people talk about it. It was one of those products that would pop-up here and there on my social networking feeds and then go away the next day. The price point is extremely high for an average makeup user. I have tried a lot of drugstore products that are just as pigmented and buttery smooth. With all that being said, you might be wondering why I even bothered to pick it up – well, because Sephora had their sale!.. Just kidding, but not really. What really drew me into this particular palette was the range of colors. I have always loved the rusty, cranberry colors because they are so easy to use and make it look like you put in a ton of effort, when you really didn’t. I had originally seen peeks of this palette on Viseart’s instagram (click here) and knew I needed to pick it up! When it originally launched I wasn’t in the financial position to jump all over it, however, the makeup gods must have heard my prayers, because it wasn’t long till I got my Sephora email letting me know the VIB sale was coming up. I immediately placed this palette in my cart and patiently waited. Looking at the palette, you’ll notice that there are no matte colors. Each of these colors have some type of shimmer in them – some are more pronounced than others. 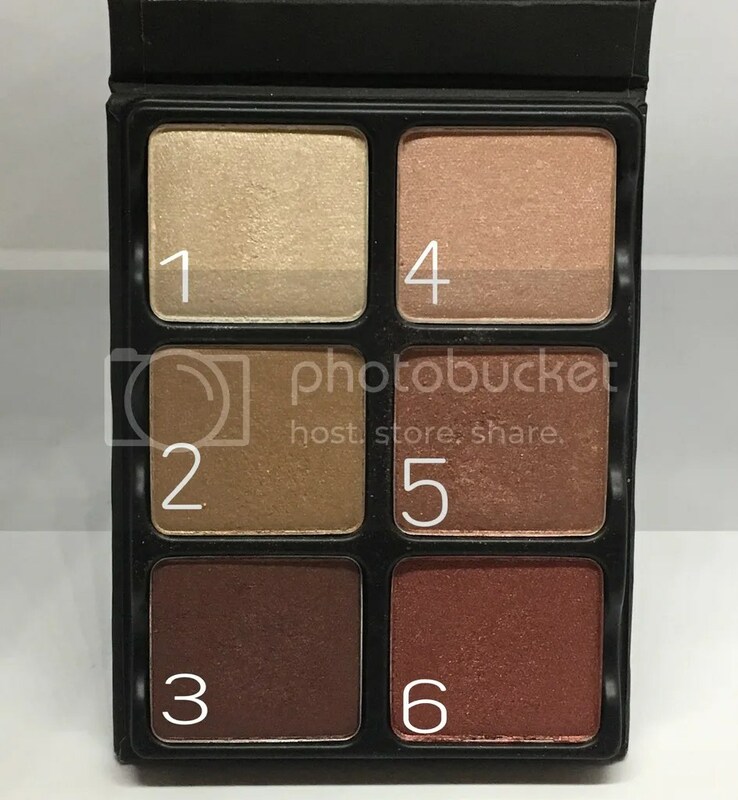 The best part of this palette is that you can easily transition any look from night to day, however, I would suggest if you do plan to do this, you will want to incorporate some type of a matte transition color. The palette is small enough to be portable, but if you’re like me, you’ll want to have your “best friend” transition color with you. All of these colors work amazingly together, but they also amazing individually. Also, colors 2, 3, 5, and 6 work perfectly for a one-eyeshadow look. What an one-eyeshdaow look? It’s when an eyeshadow can be placed on the lid, then brought to the crease and look like a completely different color. 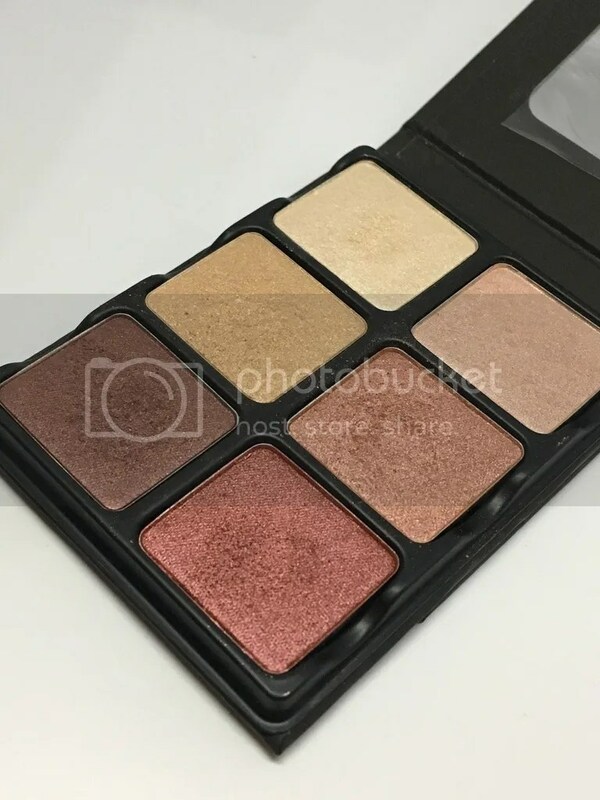 It works best with shimmery colors like this and if you take a smaller, denser brush, and tap it in the same color and place it on your outter “V,” it’ll show up as a darker version of the color. The longevity is impeccable and the pigmentation is pretty amazing right off the bat. I noticed that there was a lot of excess product being kicked-up from my brush. My only gripe is that colors 5 and 6 look pretty similar to color on my skintone. I wish that they would have incorporated a matte taupe with hints of pink or a pinky-toned mauve as a transition shade. Though I am head over heels for this product the only downfall for me is the application. I wish that that the product didn’t have so much fallout in the pan. However, when it comes to buttery smooth eyeshadows, they usually have a ton of fallout in the pan. I’m just not a huge fan of that. I also took into consideration the fact that there is NO matte transition color. I always have to have a transition color in a palette and when a palette does not have one, it automatically lowers the score for me. When I look at a palette I always ask myself two questions: “If I were to take it on a trip, would I be able to survive solely off this palette?” and “Is it beginner friendly?” I think it’s definitely beginner friendly because the colors are so easy to blend out, but I would not be able to survive on a trip with solely just this palette. I definitely would want some type of a matte transition color. Have you tried this out? What are your favorite product from Viseart? Maybe eventually I will pick up their $85 palettes, but let me know which one is your favorite! Also, if you’re interested in seeing the products that I have been testing out or falling in love with, check out my Instagram and Twitter @ciaociao808. If you’re interested in checking out express reviews, vlogs, and just a variety of videos, you can check out my youtube channel!